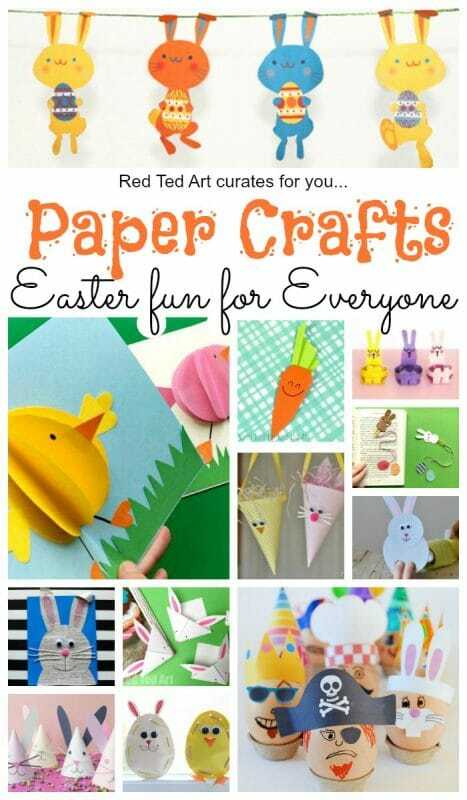 We do love adorable and easy paper crafts for kids, don’t we? 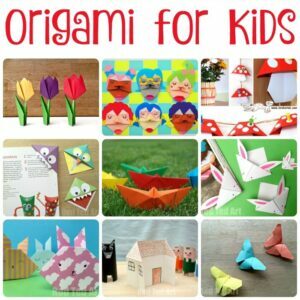 Where it is traditional Origami for Kids or fun with paper, we love how versatile this simple craft material is. 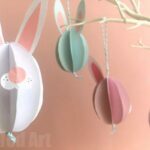 Earlier in the week, we showed you how to make super easy Paper Chick ornaments for Easter – a perfect little Paper Easter Craft! 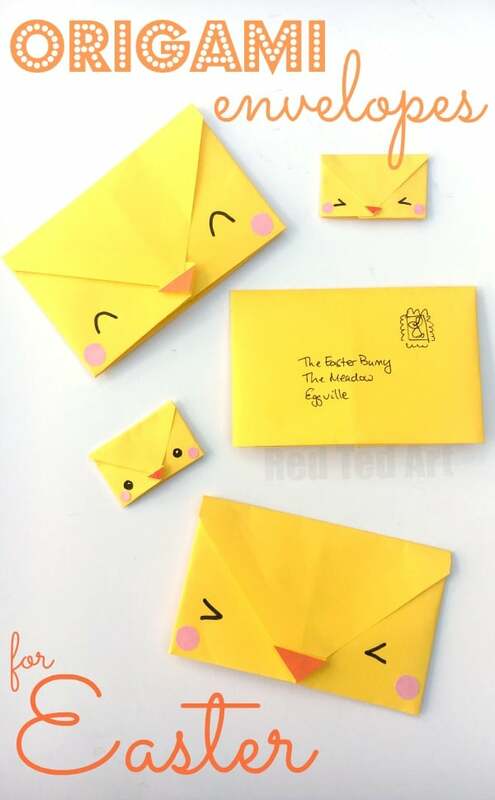 Today, we have some fantastic origami envelope chick– or more specifically chick ORIGAMI envelopes – yes, technically not cutting or sticking required – though we did embellish ours just to give our chirck envelopes that adorable cuteness. 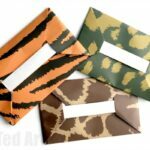 The best thing about these envelopes, is not just that they are quick and easy, but that you can write your letters or notes straight onto the envelop paper – turning them into “Letter Envelopes”. Write, fold, decorate and post! Simply perfect. 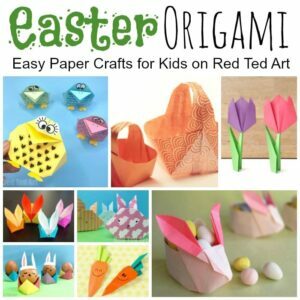 Easter Origami at it’s best. We made a similar Winter Origami Envelopes earlier in the year, do check those out too (and see our adorable Penguin, Polar Bear and Owl designs!!). 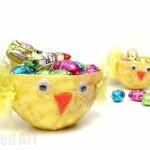 In the meantime, be wowed by the rest of our extensive Chick Craft Ideas! 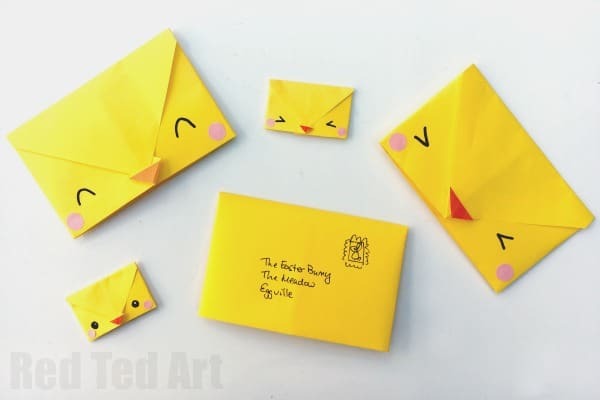 If you like our chicks.. and fancy some more ideas Arts & Crackers has some cute printable bunny envelopes you can check out (and LOVE their idea of popping in a packet of seeds as a small gift!). 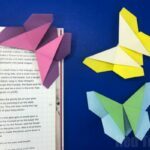 These Origami Envelopes are really easy and quick to learn. 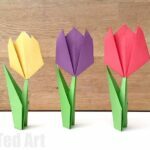 Once you have gotten the hang of how to make an origami envelope, you can make these over and over again. 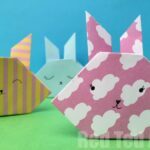 Then decorate with adorable Kawaii faces and you have yourselves some wonderful little Origami Envelope Chicks!!!! 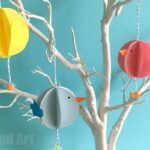 And if you love our video how tos, don’t forget to subscribe to our easy Crafts for kids YouTube Channel. It is free to join and you will be the first to see our new content! 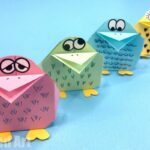 Hope you enjoyed these cute and oh so easy little origami envelope chicks!! Have LOTS of fun making them! !